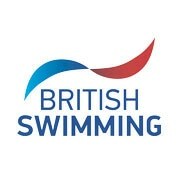 The National Winter Championships is the biggest English swimming meet of the winter months, with Britain’s top senior swimmers often involved. The National Winter Champs offer a Christmas feast of fast swimming with the ASA’s historic and prestigious swimming trophies handed out to event winners. The Winter Championships were held as a short course 25m event in 2015 and 2016, while they took place in the long course 50m pool in 2017 as England’s top swimmers fine-tuned their preparation for the Gold Coast 2018 Commonwealth Games. Having reverted to the 25m pool in 2018, it remains a short course event this year and takes place from 5 – 8 December – find out more on our Schedule page. What can I expect from the National Winter Championships? The National Winter Championships features the full range of Olympic swimming events, as well as 50m competitions for breaststroke, backstroke and butterfly. When the Championships are held over short course, there are also 100m Individual Medley events for men and women. There are also 4x50m Freestyle, 4x100m Freestyle and 4x50m Medley Relay events held for both sexes. Medals are given to the fastest senior swimmers in the ‘A’ final of each event as well as the fastest three junior swimmers (15 years old or younger) from the heats or finals. Click here to read reports from the 2018 Swim England National Winter Championships (25m).